We call it The Faroe Shawl Book. We import this unique and historic hardcover book directly from the Faroe Islands. 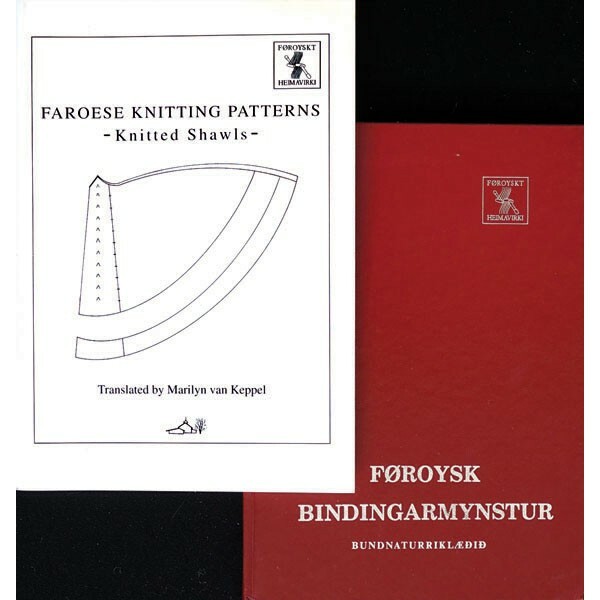 It is in Faroese, but a translation booklet (by Marilyn van Keppel) for all 19 shawls, is included. 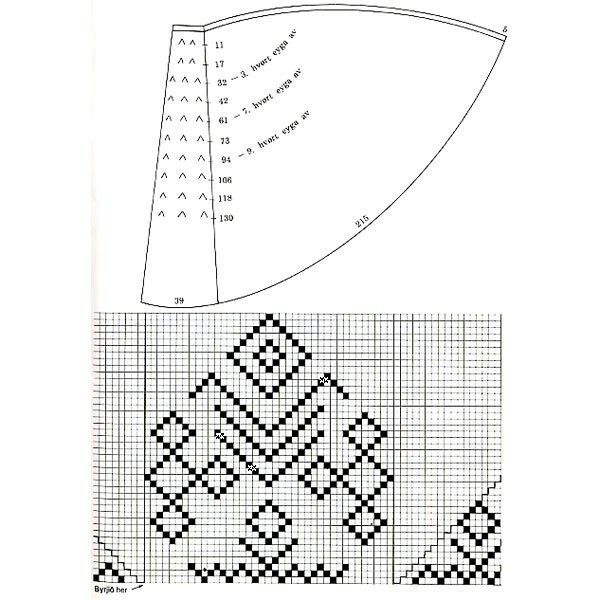 Originally published in 1983, the shawls were found in the islands by Elsa Baerentsenach. Each shawl carries the name of the woman who knitted it - or had owned the original shawl upon which the pattern is based. A schematic, chart and color photos accompany each design. The price includes both the book and translation. We call it The Faroe Shawl Book. We import this unique and historic hardcover book directly from the Faroe Islands. It is in Faroese, but a translation booklet (by Marilyn van Keppel) for all 19 shawls, is included. 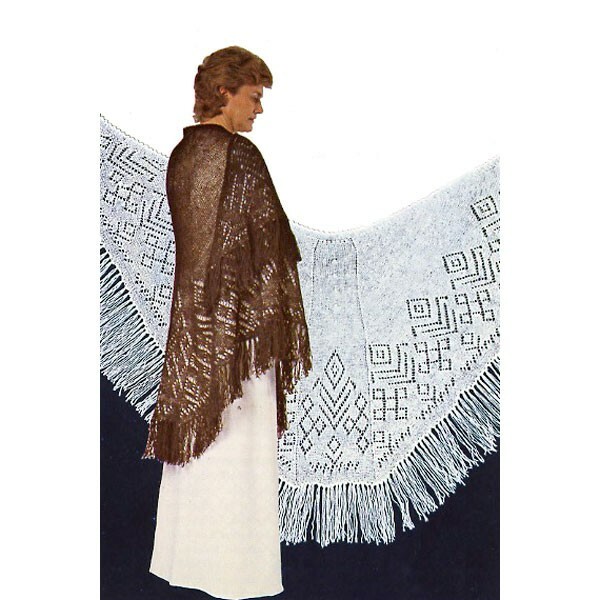 Originally published in 1983, the shawls were found in the islands by Elsa Baerentsenach. Each shawl carries the name of the woman who knitted it - or had owned the original shawl upon which the pattern is based. A schematic, chart and color photos accompany each design. The price includes both the book and translation.